Just in time for spring gardening! This article appeared in the Weekend section of the Eugene Register-Guard on Earth Day, April 22, 2017. 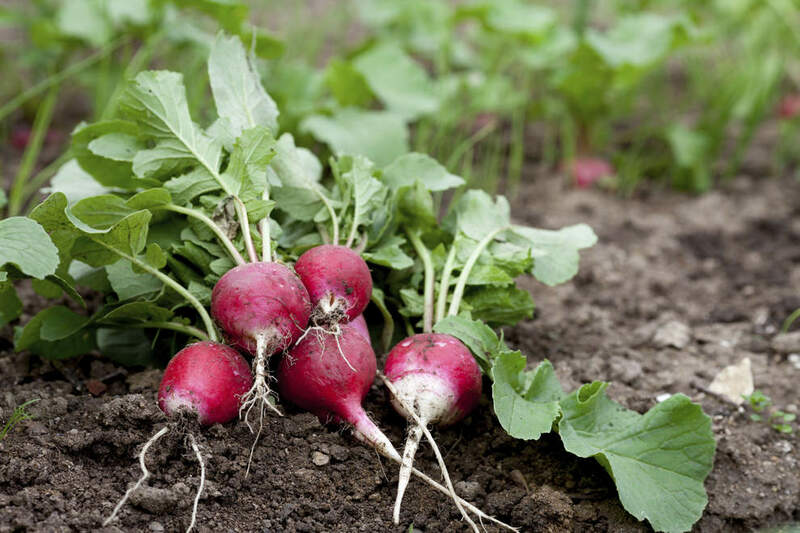 Radishes are among vegetables that grow well in the Willamette Valley, says Jeff Choate, Oregon State University Lane County Extension horticulturist. What are the best plants to put in your vegetable garden? Jeff Choate, Oregon State University Extension Service-Lane County horticulturist, says his top five veggies are radishes, beets, bush beans, Swiss chard and cherry tomatoes. Colter Lodestein-Riel, a buyer at Gray’s Garden Center, agrees and adds cucumbers and nightshades in general, such as peppers and eggplant. soil, though, they’ll turn yellow and you won’t get a high yield,” Lodestein-Riel says. Lodestein-Riel groups his nightshade crops together and plants a border of radishes mixed with marigolds on the outside to make it harder for bugs to decimate his crops if he grows only one thing. Bush beans are an easier choice than pole beans. Bush beans grow only a couple of feet tall and don’t need to be trellised, unlike pole beans. “There are very colorful varieties of Swiss chard, such as ‘Bright Lights’ and these can be harvested a few leaves at a time for continual harvest over an extended period of time,” Choate says. Choate admits that most cherry tomato plants do become large. “A cage or some type of support often is desirable, although they can be allowed to sprawl on the ground if space allows,” he says. Lodestein-Riel says cucumbers in the Willamette Valley are all susceptible to powdery mildew. He says customers come into Gray’s asking about mildew when they already have a problem. He suggests treating plants with an organic fungicide well before the problem starts. Choate recommends a spray of copper as a good, general-purpose organic fungicide, especially if there is wet weather in summer. Lodestein-Riel says his customers often think that sand will loosen their clay soil, but sand actually makes clay even more dense. Gray’s sells gypsum in 20-pound bags, although Lodestein-Riel says they frequently sell out of it. Choate recommends amending with lime (calcium carbonate) to raise the pH of our naturally acidic soils at a rate of about 5 pounds per 100 square feet. Choose a fertilizer with approximately a 1-2-2 ratio of nitrogen, phosphorous and potassium, Choate says. The exact numbers are less important than the approximate ratio, Choate explains. “You may never find a 2-4-4 or a 3-6-6, but you may find a 2-5-4 or a 3-6-5, for example, and those are close enough,” he explains. All this preparation will help your plants be healthier in general, but choosing disease-resistant varieties, such as those from Territorial Seed Company’s catalog, which are clearly labeled as to what they are resistant to, will improve your chances of success. 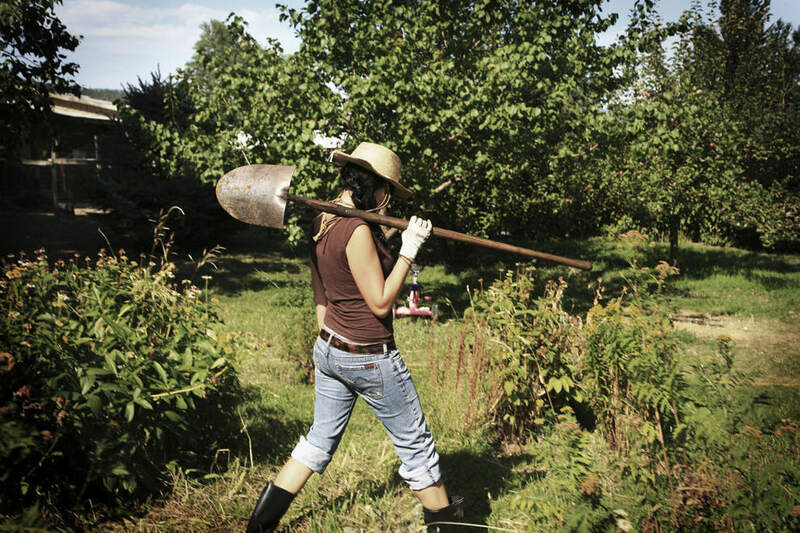 Manage weeds, even if it seems like a chore to get out there and hoe. “Getting rid of weeds helps to avoid competition for water, nutrients and sunlight during the growing season,” Choate says. Mulches can help, and mulch also may reduce the amount that you need to water overall. GrassRoots Garden, 1465 Coburg Road, presents a six-week class “Gardening on a Budget,” from 10 a.m. to noon every Wednesday from April 26 through June 7. A free “Seed To Supper” class for novice gardeners covers basics of planning, soils, seeding, weeding, fertilizing and enjoying the harvest. Free booklet, seeds and more. Optional third hour in the garden and lunch. Pre-registration is required. 541-343-2822; foodforlanecounty.org/gardens. Willamalane Adult Activity Center, 215 W. C St. in Springfield, presents “Eat the Veggies You Grow” from 2 p.m. to 3 p.m. May 11. An Oregon State University Master Gardener will share strategies for growing Pacific Northwest vegetables. Free. 541-736-4444; willamalane.org. FOOD for Lane County’s Summer Plant Sale Benefit is from 10 a.m. to 5 p.m. May 13 at the Youth Farm, 705 Flamingo Ave. in Springfield. There will be a large assortment of organically grown vegetable, flower and herb starts, including 70 varieties of tomatoes. Live music, too, and tours of the farm. Proceeds benefit the youth farm. 541-343-2822; foodforlanecounty.org. Dig in to planting five vegetables this spring in your own garden. Radishes, beets, bush beans, Swiss chard and cherry tomatoes are easy to tend and won’t draw a lot of problematic pests, says Jeff Choate, OSU Lane County Extension horticulturist.